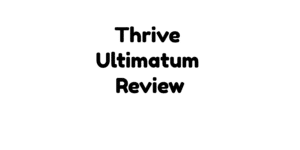 If you are looking for a perfect scarcity marketing tool for WordPress, then Thrive Ultimatum is certainly the ultimate tool for your sites and here goes our exciting Thrive Ultimatum Review and tutorials post. Thrive Ultimatum allows you to increase conversions by adding countdown timers and by running complex scarcity campaigns and even more. Despite the fact that there are a lot of countdown timers available in the market these days, only a few of them actually make a lot of sense. In this post, we will try to look into every important aspect of this plugin and find out as to what makes it better than the other countdown plugins. While most of the marketers and entrepreneurs are trying out various tools to increase traffic to their websites, some tools work while others don't. However, what most of us seem to not realize is the fact that it's no point increasing the kind of traffic on a website that doesn't perform. What’s most important is to get the right traffic or in other words, the kind of traffic that will actually perform and increase conversions. If you are wondering as to how this is even possible, it is possible with a marketing technique called “scarcity marketing.” In this technique, you can make an exclusive offer available for a certain limited period to attract more buyers. It has been seen that as you add a limited time to an offer, it tends to create a certain level of importance in the mind of the customer. This eventually increases the chance of conversion. This is where the plugin comes in handy. Thrive Ultimatum helps you create Fixed Date Campaigns by simply setting a start date and an end date. Also, you can run Recurring campaigns wherein the plugin can automatically start, stop and repeat it for you. Also, you can let individual visitor experience one’s own limited time campaign with the help of Evergreen option. 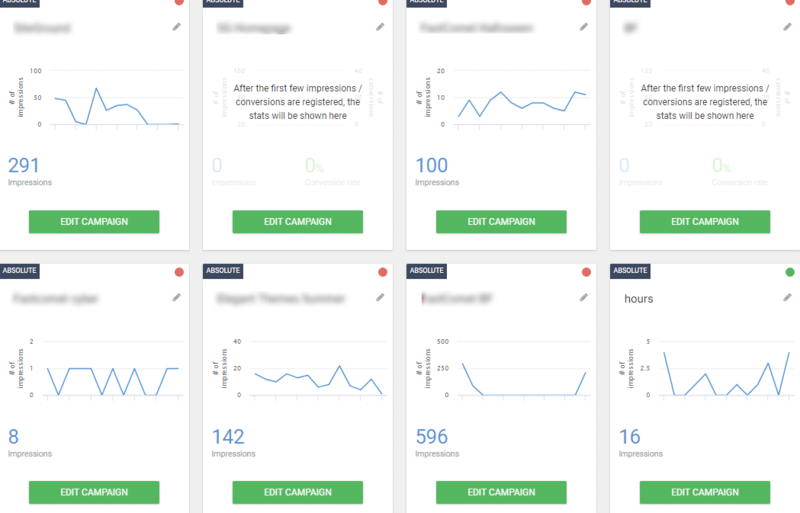 The plugin actually allows you to create and run unlimited campaigns. Also, you can run multi-page campaigns in a funnel or across your entire website. Apart from running a campaign on your sales page, you can show your countdown anywhere on the website. The autopilot option helps you automate things such as the sales page links and buy buttons to a large extent. This certainly will save you a lot of time and effort. In this review, you can check out the countdown timer designed especially for this tutorial. You can place your countdown timer in any widget area of your WordPress website to create a huge impact on the visitors and increase conversion rates. A lot of countdown timers actually have a limitation pertaining to areas in the website that they can be used at. Thrive Ultimatum can eventually be included in Thrive Architect (Check Review) where you can either use in-built countdown timer or use the one generated through Architect Builder. 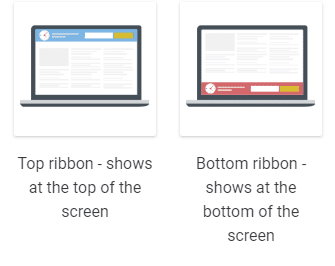 While the Floating Footer Bar allows you to show your dynamic countdown timer in a “sticky” bar at the bottom of pages, the floating header bar helps you show your dynamic countdown timer in a “sticky” header bar on your pages. The plugin allows you to run in any preferred language and time zone. Now, you can reach out your audience even better by using their own language. The design is entirely customizable from adding the various elements of your choice such as text, colors, and images to using the most beautiful timer designs and pre-built templates. This will certainly help you create a very convincing design for your visitors. The design is completely mobile responsive which means it will look equally good on mobile devices. It will have a powerful impact on mobile users as well. It actually increases your chance for more conversions since mobile users are more in number than the PC users these days. You can check this review content, on a mobile device or adjust the chrome on your desktop, you can see the design very mobile responsive, unlike other products which aren't 100% mobile friendly. It can’t be more annoying for a customer than being shown the same campaign over again even after one has actually made purchases already. However, the Auto-End feature is quite a handy feature and what it does is stop showing to a customer that has actually made a purchase. The Dynamic Redirect links is a very useful feature and it automatically redirects the visitors to the sales page, a “coming soon” page or a “sorry, expired!” page. The Lockdown feature allows you to build evergreen campaigns that are as authentic and uncheatable as any real, time-limited offer. The Plugin is available in 3 packs; the 1 License pack for $97, the 5 License pack for $147 and 15 License pack for $399. However, it allows offers another way to it other than the one-time pricing and that is buying a Thrive membership for $19/mo (billed annually). The plugin has a very reliable Customer Support with knowledgeable and friendly staffs. However, it is important to bear in mind that as you buy this plugin, you get one full year of support for the first year and thereafter, you will need to extend it by paying a small amount. If you want to have a more organized approach towards sales and conversion, this is a tool you ought to try out. In fact, a lot of businesses have already benefited to a large extent from “scarcity marketing” and why should you be left behind? However, what’s most important is to put things in a very authentic way in your campaign. Any false alert can be very embarrassing and also, can hamper the reputation of your website. However, with the Thrive Ultimatum plugin, you don’t have to ever worry about anything; it is simple to manage and helps you run the best scarcity campaigns in all aspects. Thrive Optimize Review: The Best A/B Testing Tool?